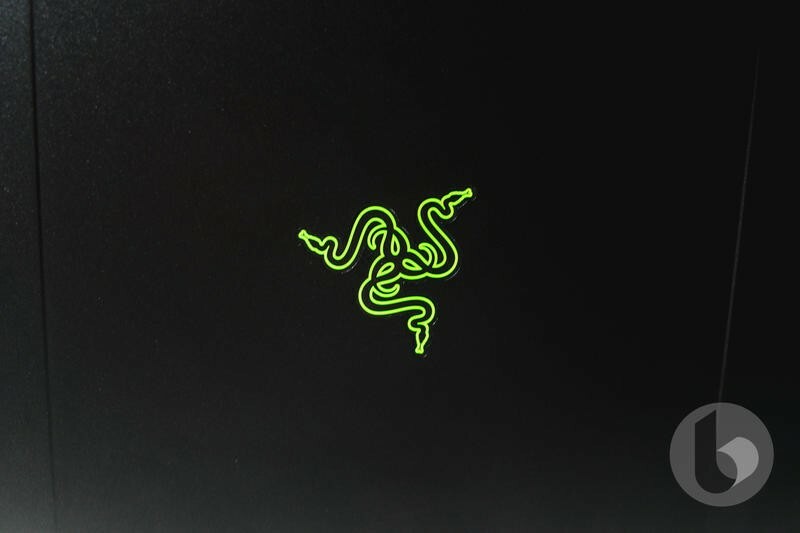 Razer is a company that puts its main focus on gamers. 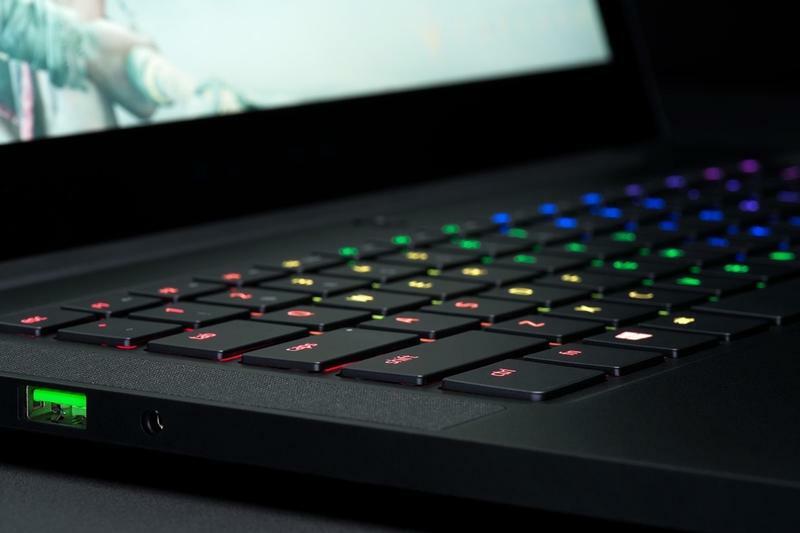 That's how started in the beginning, and that's the way it's continued, even as it attempts to expand its reach to a more mainstream audience with its Gunmetal Blade Stealth and new white peripherals. 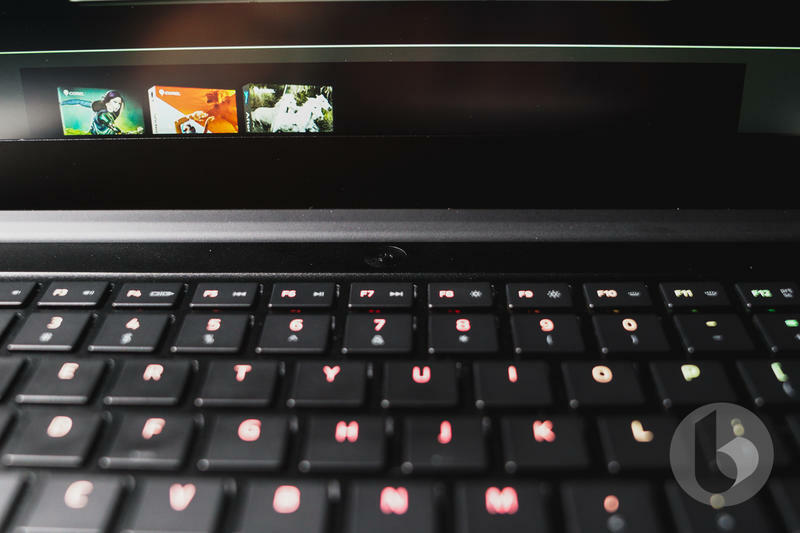 The Blade laptop falls squarely under the gaming umbrella, although that's not its sole purpose. 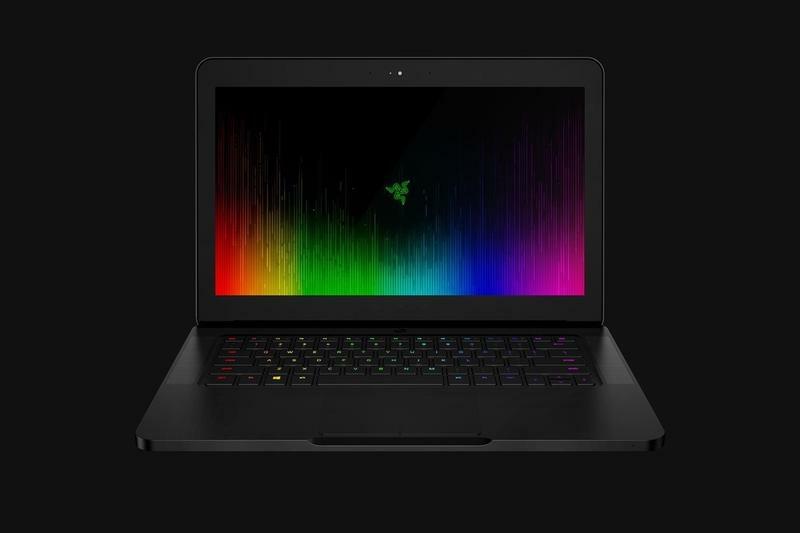 It is the middle child of Razer's laptop family, neatly settling in between the Blade Stealth and Blade Pro. The Stealth is aimed to reach a wider customer base with its portable design, lower price tag and reserved color option. 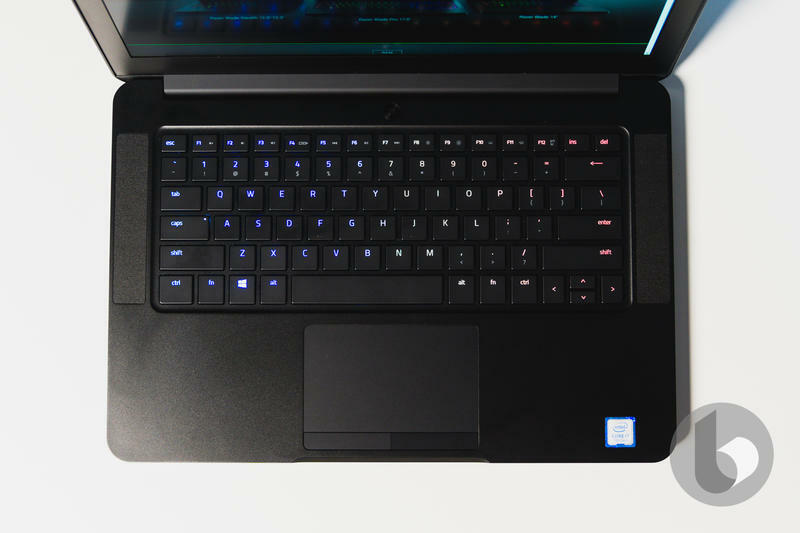 The Blade Pro is solely for gamers, with a hefty price tag, heavy design and powerful specs. 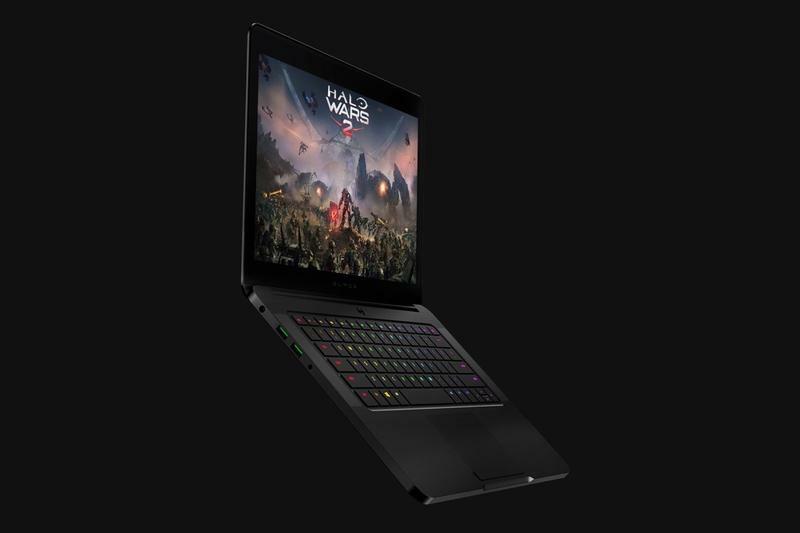 Razer's Blade combines the best of those two computers into one versatile package. 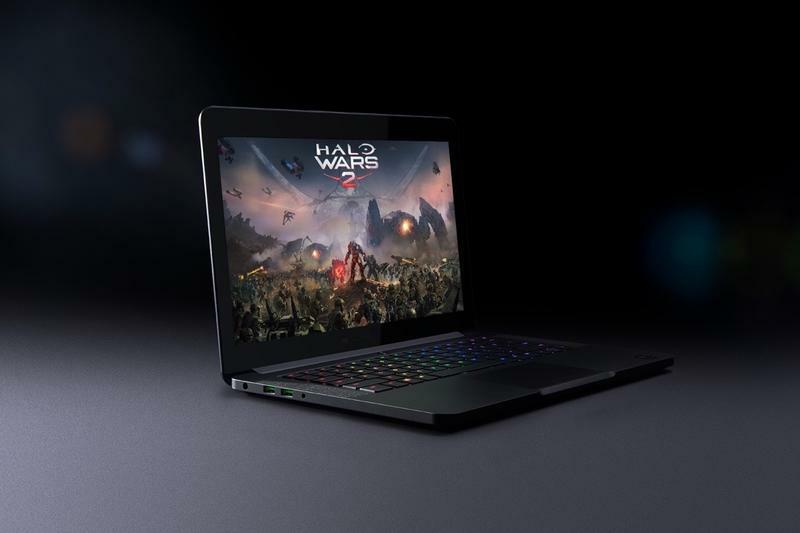 The Blade is a gaming laptop and thus Razer outfitted it with impressive specs to handle everyday gaming and even more intense VR rigs, which the Blade is compatible with. The basic model, which is what we reviewed, comes with a seventh generation Intel Core i7-7700HQ clocked at 2.8GHz that can Turbo Boost up to 3.2GHz when needed. NVIDIA's GTX1060 with 6GB of memory is included in the entry-level Blade. 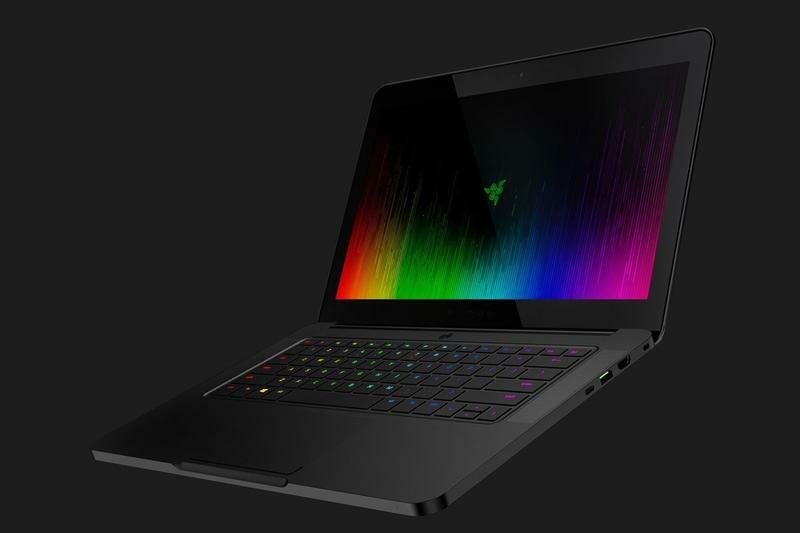 That will come with the standard 16GB of RAM and options of 256GB, 512GB and 1TB PCle M.2 SSD. The lowest storage capacity, with the specs already mentioned and the model we tested out costs a cool $1,899. 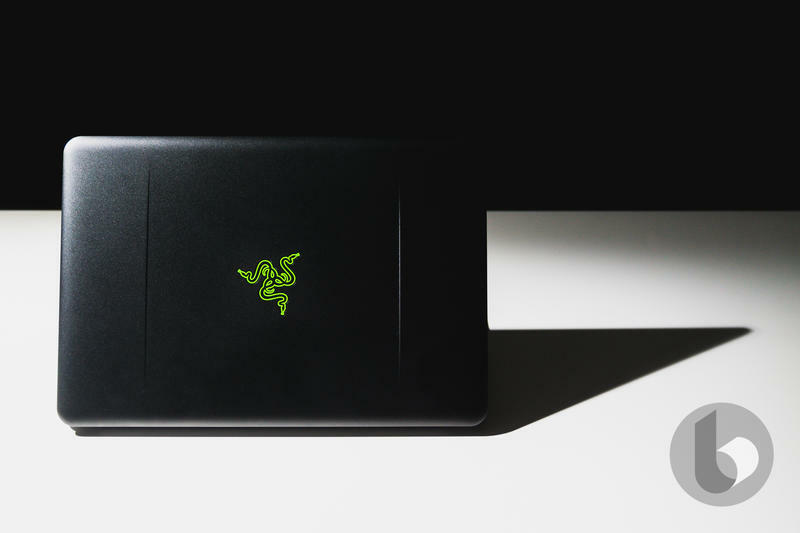 As far as power is concerned, the Blade has you covered, but it's good to know you also have the option of hooking up the Razer Core in case you ever need a little more. 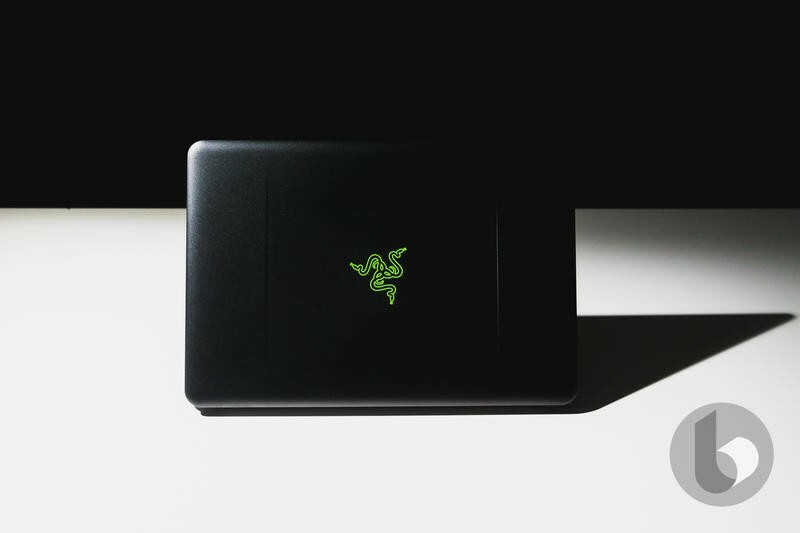 Unlike Apple's full fledged jump into USB-C, Razer took a more measured approach with the Blade, equipping it with three USB 3.0 ports, one USB-C, HDMI, headphone jack and proprietary charging port (you can't charge through the USB-C port). 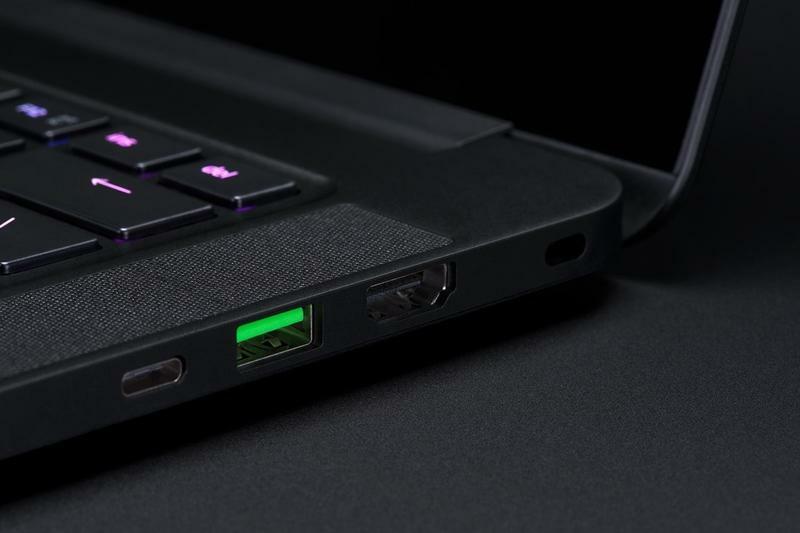 It would have been nice if Razer had included an extra USB-C you could charge through, eliminating the proprietary port, but it didn't. Speaking of charging, battery life is pretty great with the Blade. For my everyday workflow of writing, surfing the web and having multiple apps open like Slack and Twitter, it had plenty of juice to get through a full eight-hour work day with battery to spare. When you first see the Blade, you notice right away that it features fantastic craftsmanship. Donning matte black paint, this thing is mightily stealthy. 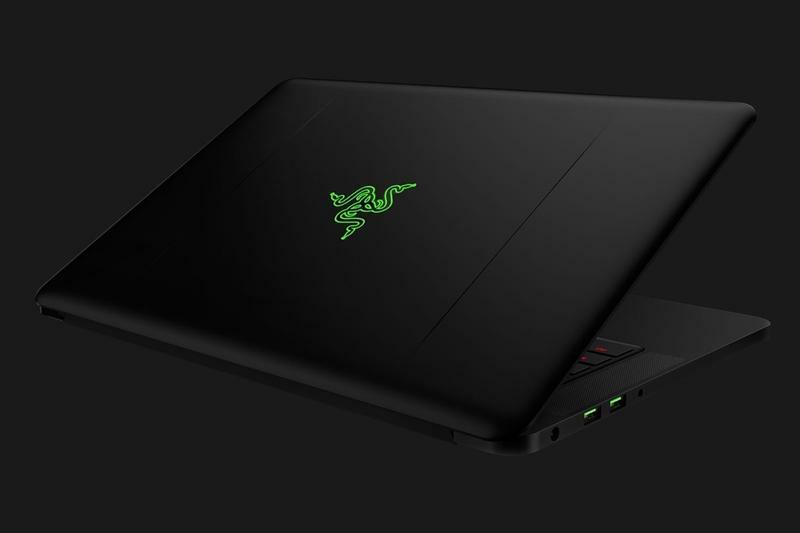 The entire body is coated in darkness with only the green Razer snake logo and USB ports serving as minor accents. 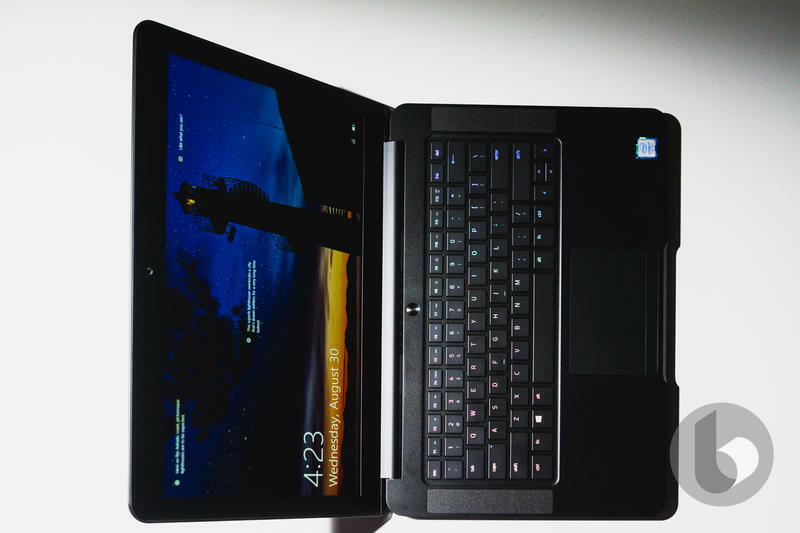 The Blade's aluminum frame conjures up Apple's MacBooks, but in a much more aggressive manner. Black beats out Space Grey any day of the week. The anodized exterior is stunning. It feels cold and premium to the touch. Although the bottom side is a bit more utilitarian, it still carries the same fit and finish as the rest of the computer. Two long strips of rubber make sure the computer stays in place when gaming and two cut-out grills serve as vents for the fans that aren't afraid to kick into overdrive if need be. Unfortunately, once you lay a finger on the Blade's matte black body, it'll stay there. The look is good, but it retains fingerprints like moth to a flame. You'll have to wipe off the computer regularly if you hope to keep fingerprints off. 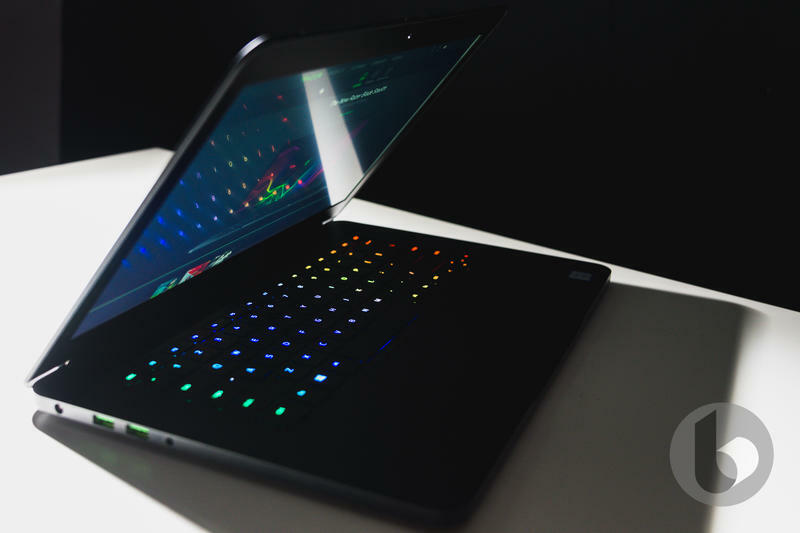 This aesthetic is carried inside where the 14-inch 1080p matte display lives along with the Chroma keyboard and trackpad. 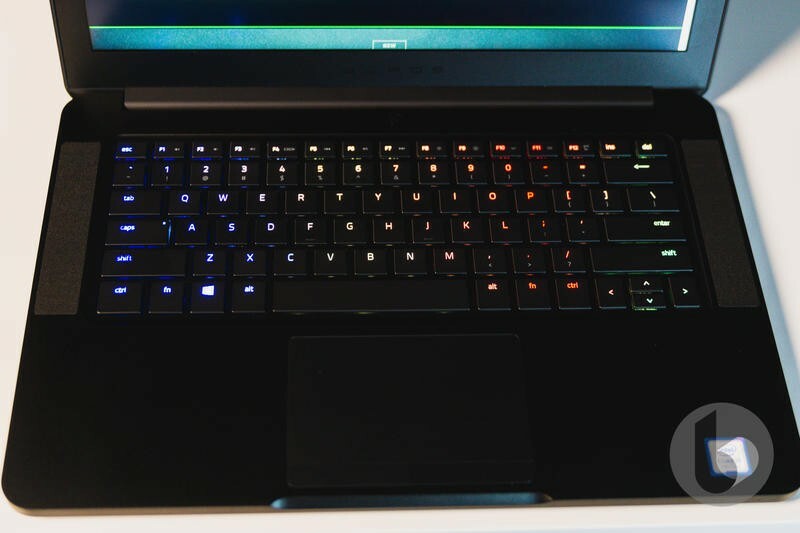 The Chroma keyboard is the signature detail of an otherwise black computer. 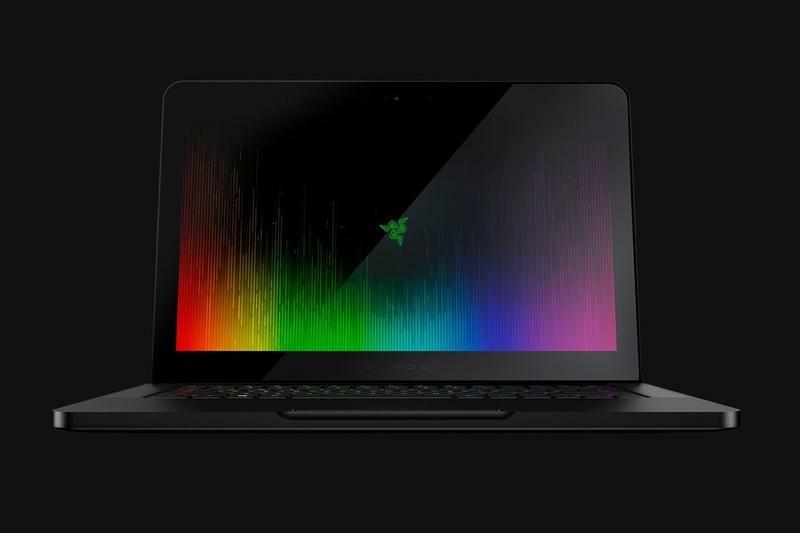 With 16.9 million colors at your disposal and Razer's Synapse software, you can sync it to any color with any pattern you want. The keyboard doesn't just look good, it's fantastic to type on. The keys are coated in a matte finish and the switches give an assertive feedback for writing. As a writer, I do most of my job with the keyboard and it was great to work on. If only the the display and trackpad were nearly as good. 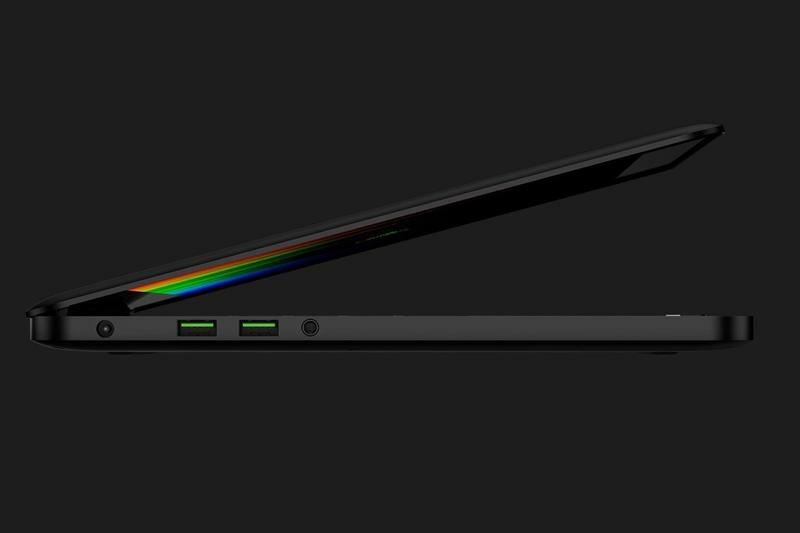 These are the two main design hiccups of the Razer. The 1080p matte display ends up serving a special function—one we'll touch upon later—but it is not the best display to look at. It doesn't offer the best viewing experience and the colors look washed out, but the matte finish does diminish glare significantly. 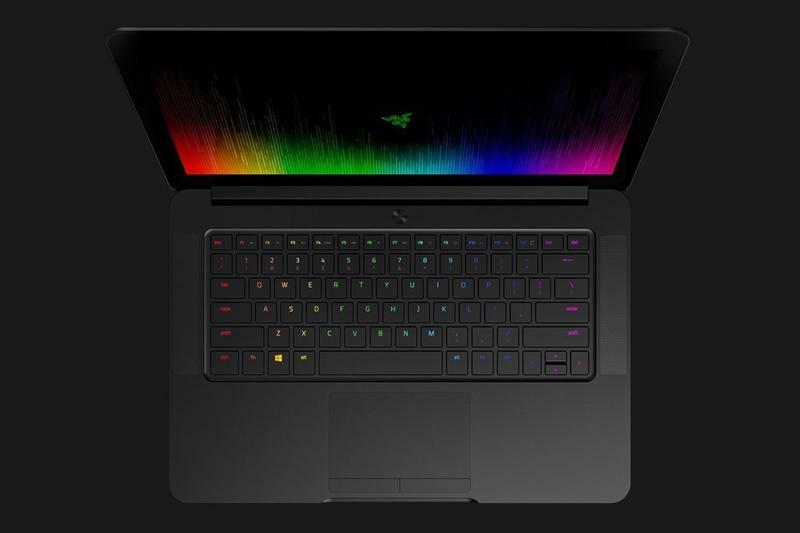 It would have been nice of Razer to pack in a bigger display by minimizing the bezels, because the overall footprint of the computer feels like a 15-inch laptop, but you only get 14 inches of display. This is by no means a deal-breaker, but it is disappointing. You can opt for the 4K Touch display, sadly at the same size, but that will cost extra. 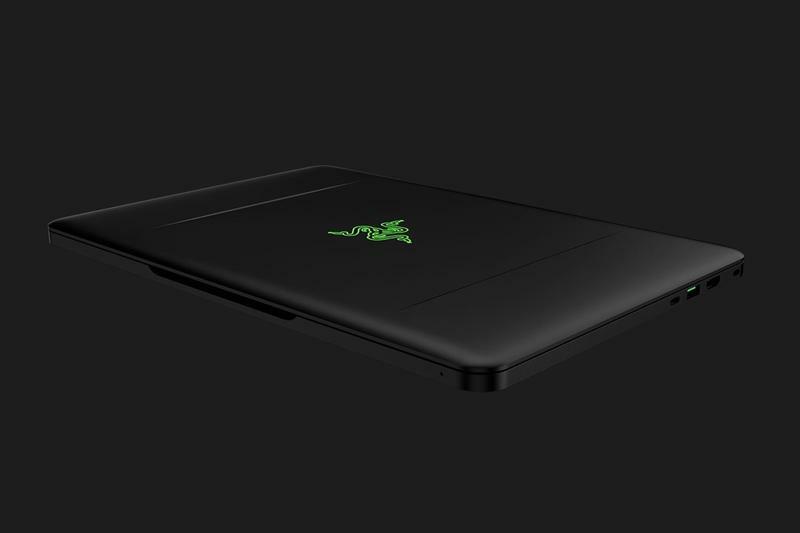 Where Razer truly dropped the ball was with the trackpad. Instead of being a modern all-in-one trackpad with pressing function integrated, it is a three-piece trackpad with the touch portion up top and two separate click buttons (left and right) at the bottom. The buttons are fun to press, but annoying to use and just end up subtracting usable space from an already small trackpad. 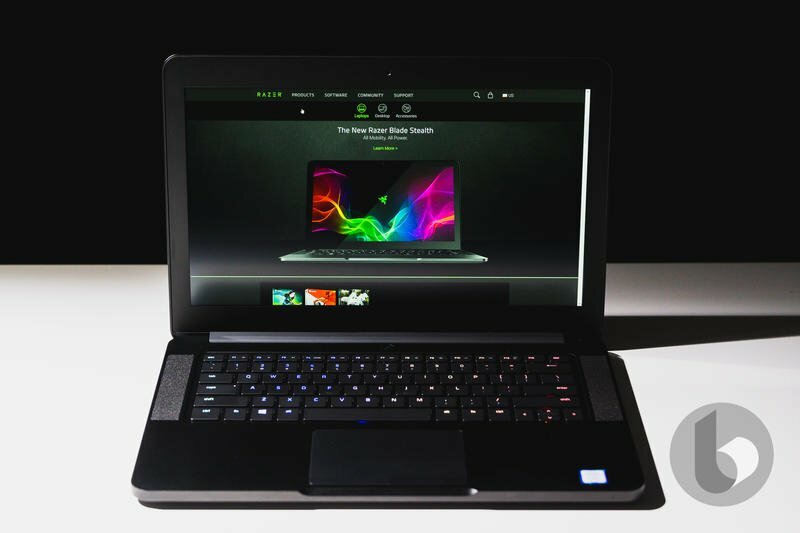 Razer has rectified the oversight with much better trackpads in its newer computers, complete with Windows drivers, but that luxury is not afforded to this model. 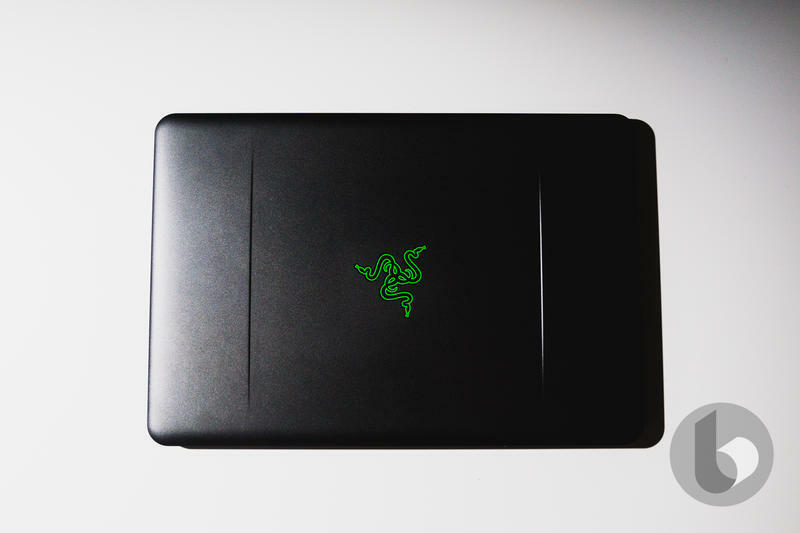 Gaming is where the Razer Blade really hits its stride. Couple the beefy specs with the low-res display, and you get a smooth experience. I mostly tested out Player Unknown's Battlegrounds at 60fps, and I experienced no hiccups. This is where the 1080p display really works its magic. With less pixels to push, those extra power resources can go elsewhere, like the GPU. I also played a few games of Rocket League and it breezed through, hitting ultra setting at 60pfs with zero dropped frames. The GTX 1060 manages to do a solid job gaming-wise, but it comes at the price of extra heat. This is combatted with fans, and by combat I mean blow away in epically and loud fashion. When the fans turn on, it's like a plane is taking off. You can really hear those fans chugging along to cool the computer components. This wasn't just because I played an intensive game like Battlegrounds, it happens with nearly all games, even ones that don't require the GPU to really crank up its performance. Battery life when gaming is solid, but not something you will want to do away from a wall outlet for too long. Playing high performance games like Battleundergrounds wreaks havoc on the battery life, dipping it to just over two hours. Less intensive games like Rocket League take it easier on the battery, but it still hits it much harder than the light tasks of everyday usage. 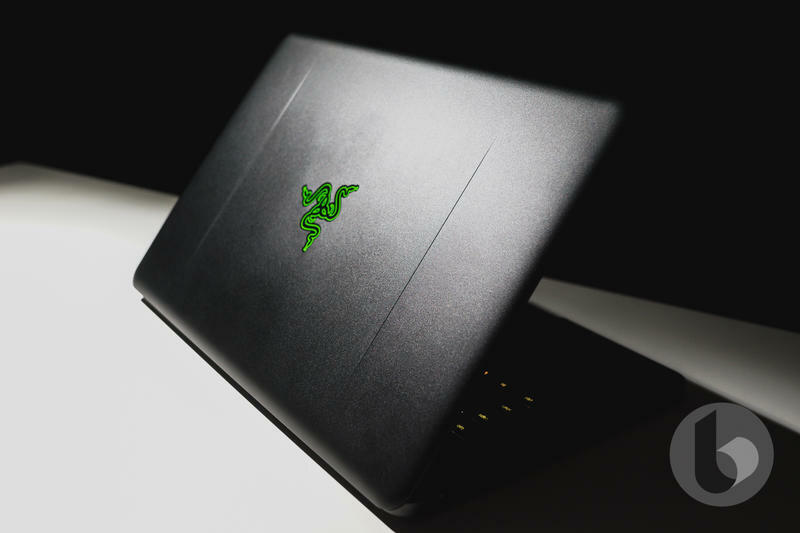 The thing that matters most is that the Blade can easily handle today's most popular games. Unfortunately, where we didn't get a chance to test out the Blades gaming abilities was with VR. If we ever do get a VR headset in the office, we'll be sure to update the review. 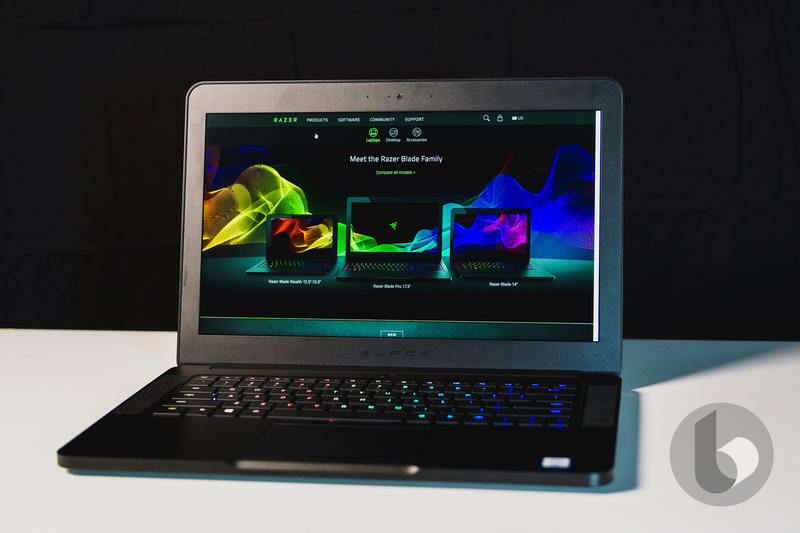 With the Blade, Razer created a computer that is powerful, looks fantastic and is portable. 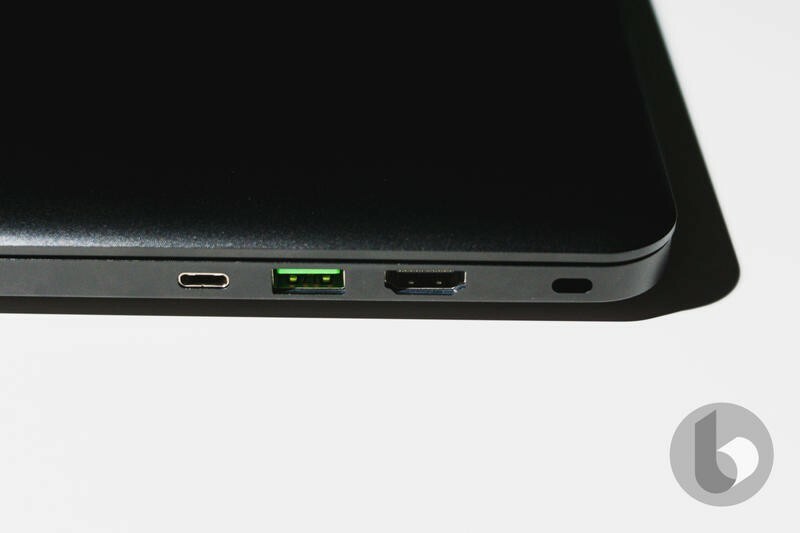 It can handle intensive gaming rather easily and has the right ports you will need. Yes, the Blade does have its shortcomings—display, trackpad, loud fans—but it does everything else right. 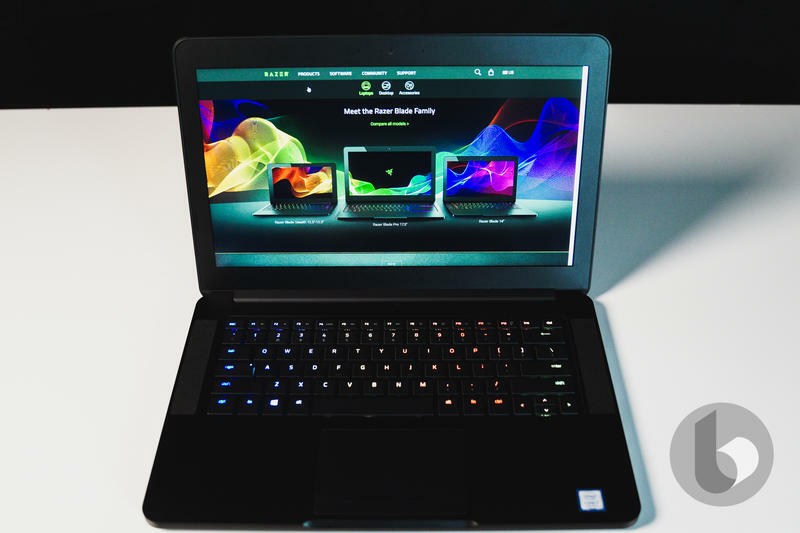 There are other alternative computers that offer the same specs as the Blade, but none offer the same premium and portable design. 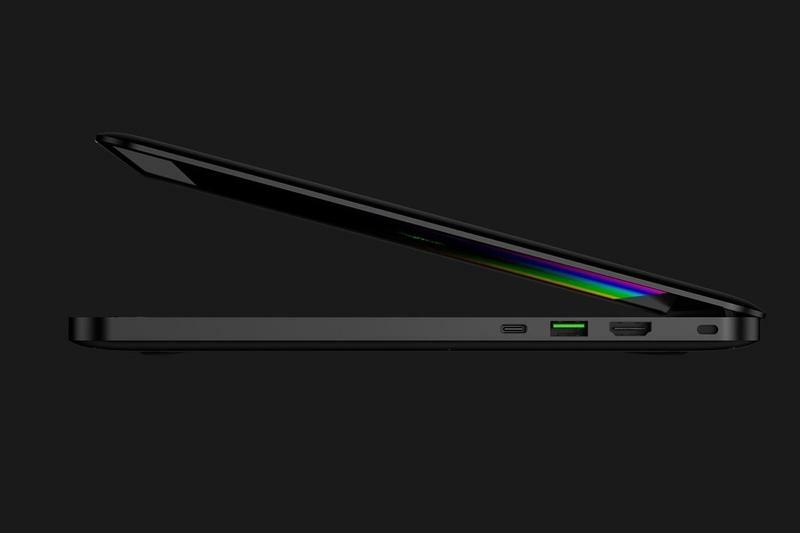 And that's why you should consider Razer's beefy laptop: To receive a level of refinement few others can match. Where it concerns form and functionality, the Blade stands tall even for its minor quirks. 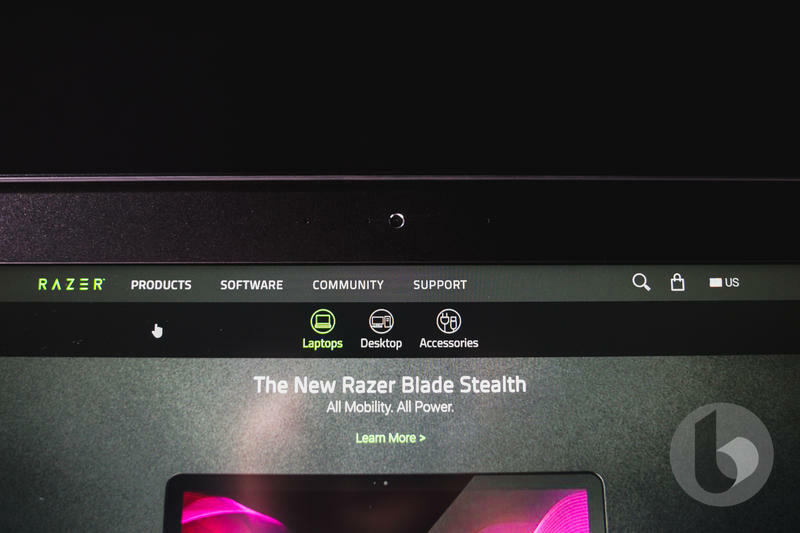 Disclaimer: Razer provided TechnoBuffalo with a Blade with the 1080p matte display, Intel Core i7-7700HQ and GTX 1060 to test out.